I just finished organizing my game plan for today. Mostly, it consists of running errands (and laundry). Due to the fact, that if gas prices go any higher, I may have to sell a child (or a kidney) to afford to purchase it; I have been trying to drastically reduce our consumption. Among other things, now I cram all my errands for the week into one day, if possible. This is doable if I get myself organized before I set out. First, I have assembled all the necessary tools on the computer desk (that I spent a half hour yesterday cleaning off, so that I could have a spot to mess up, again). 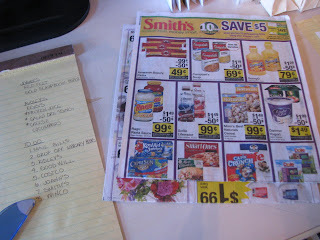 I have perused all the grocery ads (paper and virtual) for loss leader deals. I have assembled all the pertinent coupons. 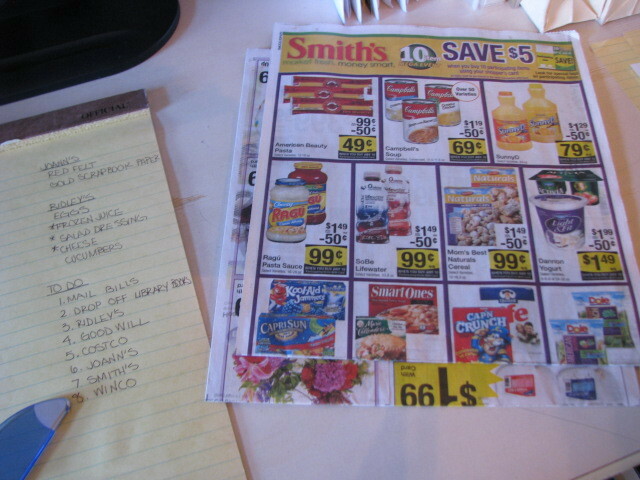 Matching coupons to sales prices is one of the most lucrative ways to use coupons. Now the plan of action has been committed to paper. 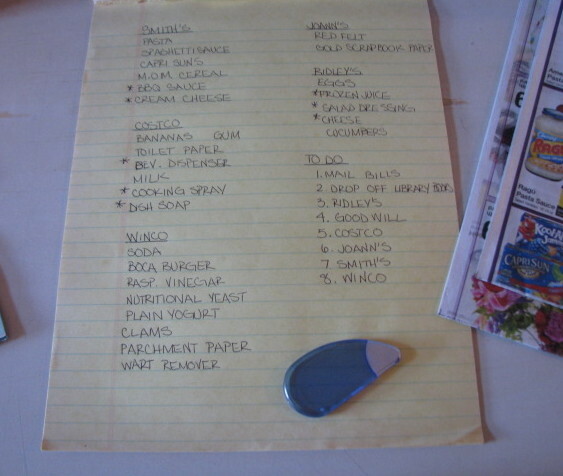 I do much better staying on track (and not FORGETTING something), if my list is itemized. Every store I need to stop at has a separate list of the items I am going to buy there. The asterisks next to some of the items means I have a coupon for it. My to do list is in order, from starting to stopping point. When I have finished I will have driven a circle of the entire town. That way I don't have to back track and waste fuel. 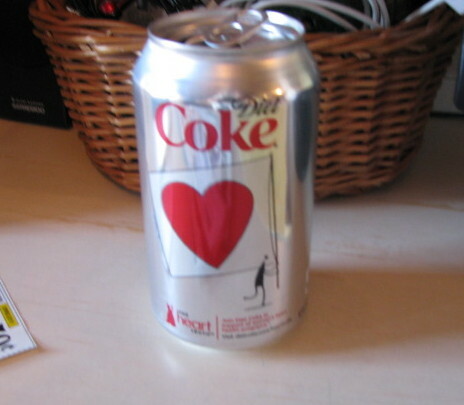 Naturally, I have had my morning beverage to fortify my before the big trip! Well, I guess, I had better hurry and get started on my quest. My list will take me several hours, and my little boys get home from school at 2:30pm. My great adventure, awaits....................! I need to get better at this. I find I am at the grocery store every other day due to poor planning. And with gas in my area at $1.35 a litre(about $5.10 a gallon), it is way too costly to drive needlessly. I am looking forward to the days when I can make the loop without little ones in tow. I may not have to wait years either- school is out in 18 days and boys HATE shopping but don't mind babysitting!! he he he! Perhaps 1 trip into the city will cover it for me. 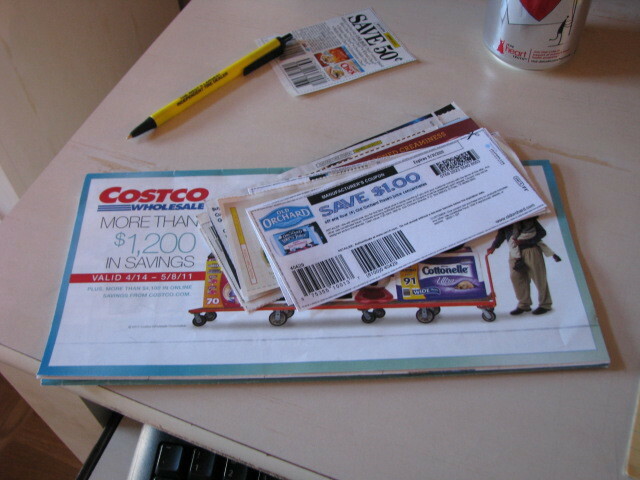 Now I just need to get caught up on my coupon clipping. I have been a bit of a slacker lately. You are truly organized and I bow down to your scheduling wonderfulness! 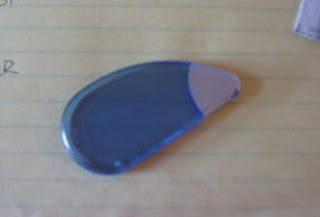 I have one of those little slicers that I got at a Pampered Chef party. It has a magnet in it and hangs on the side of the fridge. Thank God I haven't lost it yet. Yesterday was my errand day as well! Like you, I sat and got everything organized, got my coupons together, etc. . . . and then left the coupons sitting on the counter in the kitchen! Oh well. I just bought a few less things, and will use the coupons when I go out next time in a couple of weeks. I really dislike driving, but consider it a necessary evil. I was combining trips long before I ever knew it was economical just because I wanted to drive as little as possible. The cost of gasoline has an effect on so much of our lives. 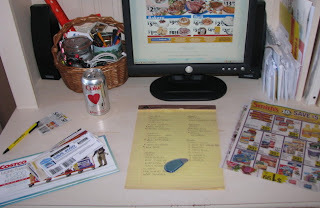 You have a great game plan for your errands!